Unquestionably, you have things in your home or that you are about to inherit that are so important you will never sell them. And those items I wholeheartedly agree, you should keep. If you sell an important family heirloom, you may experience an unbearable future emotional pain, because once sold, these items can never be retrieved, at least not easily. We invest all sorts of metaphors of memory into the objects we keep. We won’t sell an item because we want the memory of someone or something to be accessible and alive. We want to live with and have our lives enriched by the memory of the people we love, the places we have been and to demonstrate to others that by dint of hard work, we succeeded in our endeavors. It is a beautiful and wonderful experience when I walk into a clients home and I get a chance to see how they have chosen to weave various objects of memory into a narrative depicting their families and accomplishments. So, keep stuff…but only if it is important to keep. Resist storage as a way to archive your beloved accumulations. Dignity is so very important, and that is often the driving force behind keeping things long past the time of its usefulness. 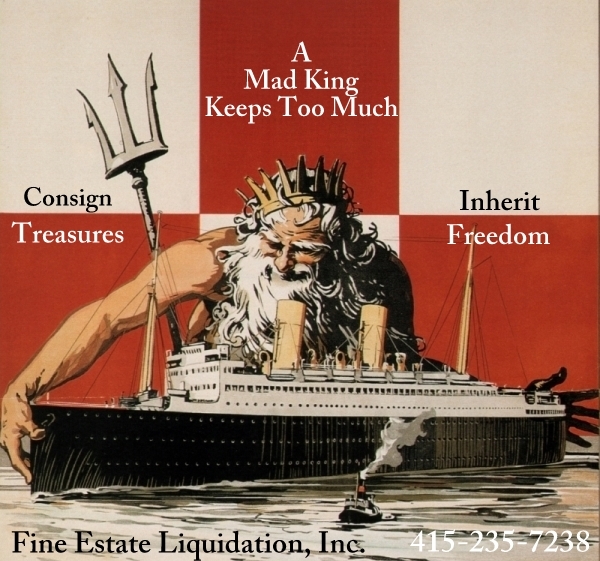 There are many ways to get help working through your consignment or estate sales strategies. Give us a call, and we will be happy to sit down with you and your family and discuss in detail your many options.